California regulators are currently contemplating whether residents would have to pay a fee on text messages from their cell phones. 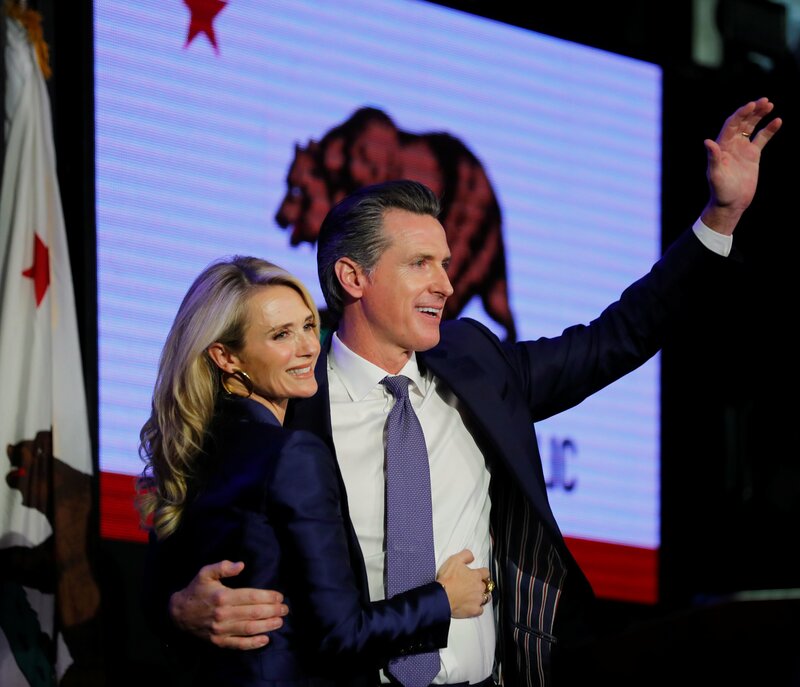 California Democratic gubernatorial candidate Gavin Newsom hugs his wife Jennifer as he celebrates being elected governor of the state during an election night party in Los Angeles, California, U.S. November 6, 2018. REUTERS/Mike Blake. The rational from California regulators is this: Text messaging uses the same cell towers as phone calls yet do not face similar fees — particularly in era where voice calls have dropped precipitously over the last number of years.